Larrison's Diner has been a traditional downtown cafe for over 30 years, though activity at this location spans back much further. Originally built as a grocery store over 100 years ago, the building at 200 South Chestnut then became a dairy. In the late 1930's, it is believed that Ed Auffenberg put in a grill and started selling hamburgers by the sack. By the early to mid 1940's, George Hart, who was working for the Seymour Tribune, bought the diner. 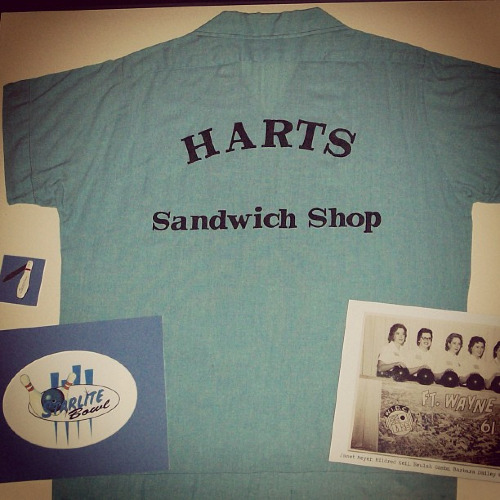 He and his wife Dean Hart began what many people still remember as Hart's Sandwich Shop. George Hart passed away in 1954, but Dean and her children and grandchildren continued until 1974. Ed and Jan Larrison leased the popular restaurant for one year and then purchased the business in 1975. The Larrison's expanded the capacity of the small cafe in the 1980's by purchasing the building next door. Including the 202 South Chestnut building allowed additional dining areas, storage, public restrooms, and office space. It also doubled the serving capacity of the diner. Ed and Jan retired from the restaurant in 1996 and their daughter Liz, and son Kevin, purchased the business. The Larrison family has carried on a proud downtown tradition that has endured for nearly 70 years. Siblings, Liz and Kevin Larrison are the current owners of Larrison's Diner. Click for bios of Liz and Kevin.